Provides control of various circuits such as lights, auxiliary glow plug battery and electric motors. Adjustable "on" point at any preferred stick position and is direction reversible. 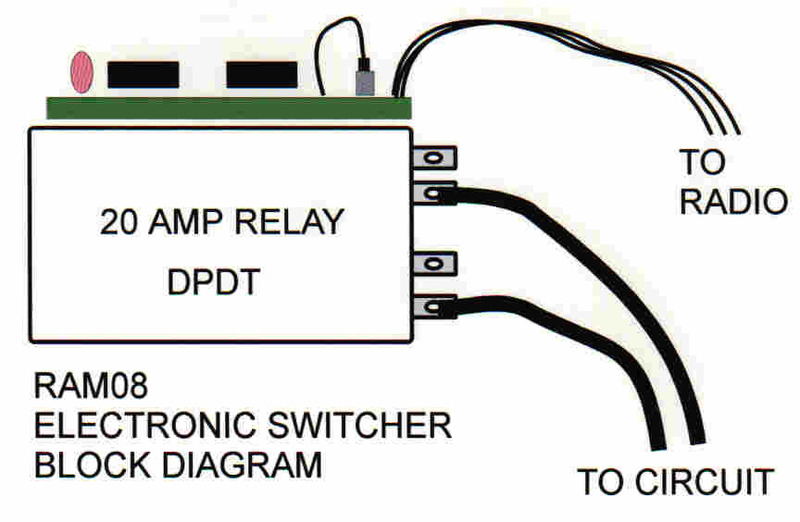 The circuit board is attached to the receiver and it controls a double pole, double throw relay which can be wired in a variety of ways to produce control of two separate voltage devices or reversing action for a motor. Controls up to 20 amps of current. The device is 1-1/2" x 1-1/4" x 1-1/2" and weighs 2 oz. A generic receiver plug is attached.